HomeGold IRA BlogGoldWhat Kind of Precious Metals Can I Hold in a Gold IRA? What Kind of Precious Metals Can I Hold in a Gold IRA? Precious metals IRAs are governed by strict IRS rules limiting the forms of gold, silver, platinum, and palladium that may be held in a retirement account. The two most prominent rules likely to affect average investors are the ones regarding fineness and collectible status. 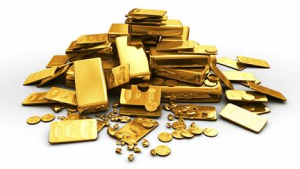 Specifically, the IRS stipulates that gold coins held in IRAs must be 99.99% fine, while gold bars must be 99% fine. And the term “collectible” is most frequently applied by the IRS to rare coins whose scarcity value adds to their bullion value. In addition to regulations pertaining to the kinds of precious metals eligible for IRA accounts, the IRS also has strict rules about custody of physical gold, silver, platinum, and palladium. To avoid tax penalties, all precious metals purchased for an IRA must be sent directly to an approved depository until the IRS-defined retirement age is reached and distributions of the physical bullion can begin. Now that you know what kinds and forms of precious metals are approved for IRAs, you can start choosing the particular coins or bars you’d like to add to your own account. Contact American Bullion today for assistance with these transactions or for a consultation with one of our precious metals experts.